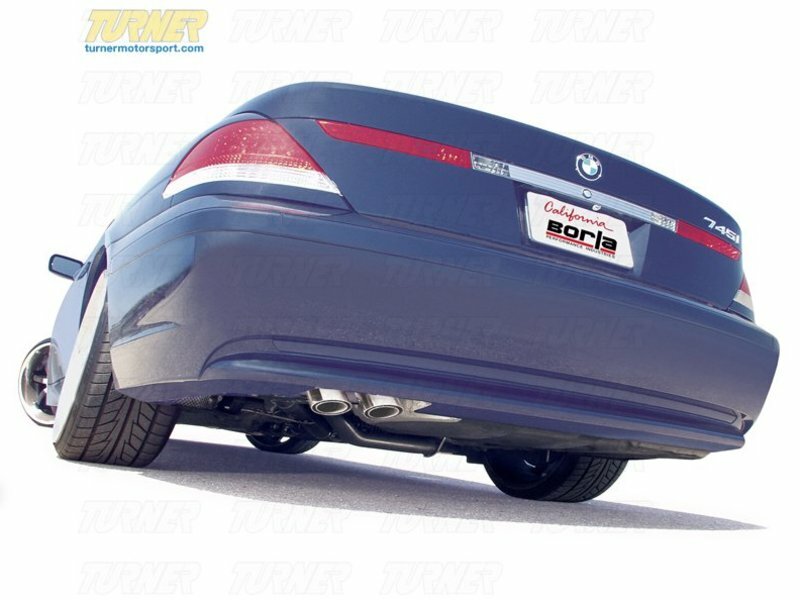 E66 745Li Borla start-upBorla has developed this sophisticated, unique exhaust for the 2002-2005 745i and 745Li. This system is a true dual cat-back and incorporates a lead muffler that serves both to attenuate sound and balance pressure, similar to the x-pipes used on other racing exhausts. Augmented with two resonators and followed up with a rear muffler assembly, the system exits with two turned down phantom tips at the rear. Among the amazing qualities of the Borla system: this system flows an unheard of 300+cfm more than stock and weighs in at an amazing 21 pounds less. The Li model is longer, requiring an extension pipe (included in every system). Performance, looks, better mileage and the right sound� this is the perfect E65 exhaust upgrade when you want more of that V8 rumble. 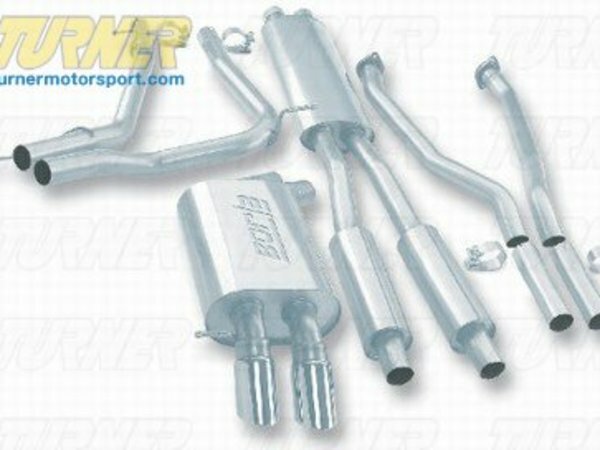 this is the perfect E65 exhaust upgrade when you want more of that V8 rumble.